We are once again offering a pure Novice division for 7th – 8th grade. (This division is for only wrestlers with 2 years or less wrestling experience with little to no club experience.) 7th – 8th grade Novice WILL NOT count toward team score. Online Registration closes at Noon, March 22. 6th – 8th Grade Teams will weigh-in will begin at 7:00 a.m. all team members must weigh in together. No exceptions. (All wrestlers will receive a 1 pound competition allowance.) Following the NFHS Rules Book. Wrestling starts at 8:00. There will be 13 weight classes with weights following AAU weight classes. A wrestler may only wrestle their qualifying weight class and one weight class above that weight class in accordance with the NFHS rule book. (Example if a wrestler weighs in at 134 he would be eligible to wrestle 140 and 160 pound weight class only. A wrestler may only wrestle their qualifying weight class and one weight class above that weight class in accordance with the NFHS rule book. (Example if a wrestler weighs in at 99 he would be eligible to wrestle 100 and 112 pound weight class only. This year, we will again be offering an ALL GIRLS DUAL DIVISION. Any all girls team should contact Dan Vacha: 402-578-5252 or danvacha@gmail.com for more info. To enter team contact me by phone or e-mail and I will have get you info for entering team on track. 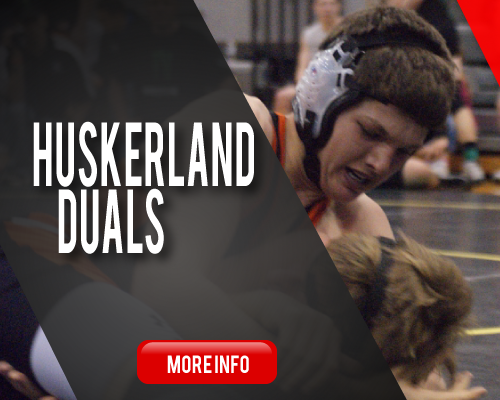 All wrestlers must have an AAU Card to compete in Huskerland Duals. AAU cards can be purchased at: www.aauwrestling.net. Select Join AAU, then click on the green Register now. THERE IS NO QUALIFIER FOR AAU STATE. ALL WRESTLERS ARE WELCOME TO COMPETE FOR THEIR SPOT ON THE DUAL TEAM. All wrestlers must have an AAU Card to compete in AAU State. AAU cards can be purchased at: www.aauwrestling.net. Select Join AAU, then click on the green Register now. Once background check is complete, you will receive a new card with an AAU number on it. Please print and show at Huskerland. $25 online rate, $30 walk in rate. 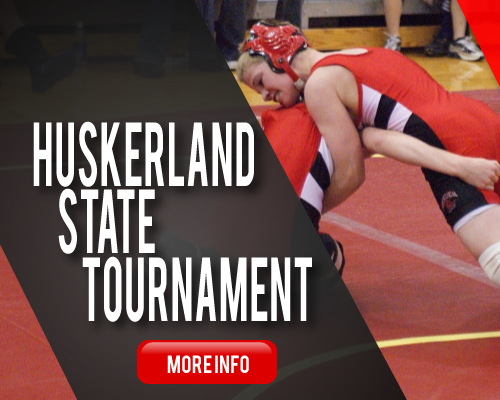 This event will be going on at the same time as Huskerland duals, but on opposite days. 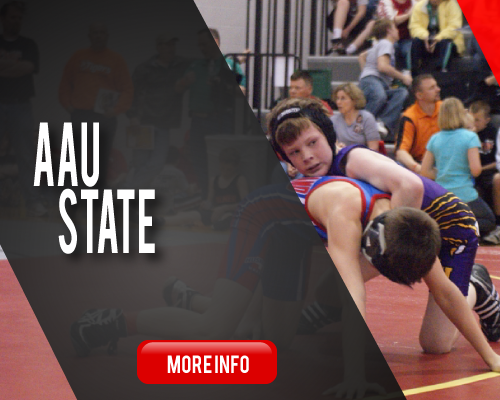 So if you are competing at the duals, you will be able be compete at AAU state. It’s a great deal and best use of your trip to Kearney. 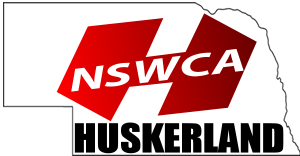 Remember, in order to qualify for the AAU Nebraska dual team, you must compete in AAU state and place 1st or 2nd. Registration is open now on Track wrestling. ***Dual weights will be honored for AAU State for Grades 6th-8th, but AAU weights for 3-5th WILL NOT BE HONORED FOR DUALS. You must weigh in for duals as a team. 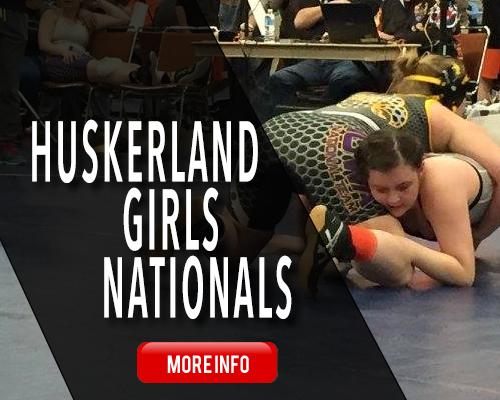 The weight classes match AAU State Girls on Sunday. 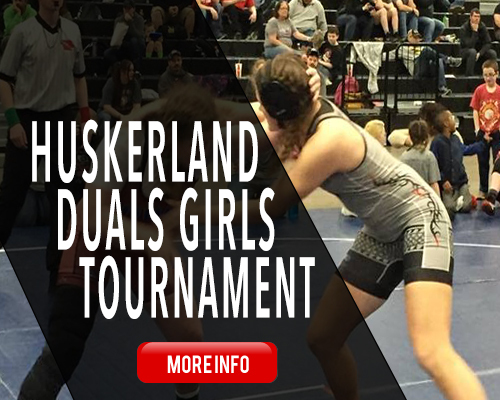 Competing in AAU State is the only way to qualify for Nebraska’s All girl’s Dual team in Des Moines March 29-31st. If you wrestle in Duals on Saturday, you DO NOT have to weigh in Sunday. This tournament plans to be a highlight on all-girls wrestling. The plan is to have teams from Nebraska but also teams from surrounding states. If you’re interested in putting a team together from your area please contact director below. Unpaid entries on TrackWrestling will be considered walkins. Cannot coach without an AAU Card. Athletes must be in the designated grade. • AAU Card Required At Weigh-ins. • AAU Cards can be purchased at www.aausports.org for $15.00. • All coaches must have non-athletic AAU card in order to coach. • AAU membership cannot be purchased at the event.